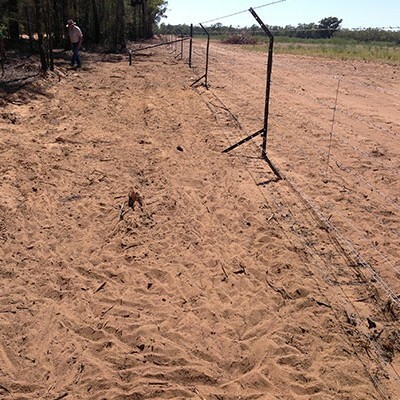 The Fence Boot® is a quick, cost-effective addition to a new or existing fence in high traffic areas affected by burrowing animals. 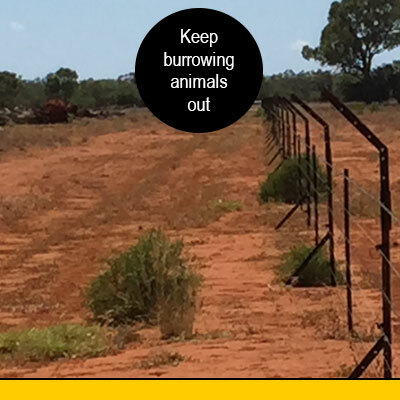 The Fence Boot® acts as a deterrent to unwanted burrowing animals. When used in conjunction with the The High Jump Fence Extender®, it can prevent jumping and borrowing animals from entering your property. The Fence Boot® is a 645mm long steel post, bolted onto the front of an existing steel post (star picket) at a 45 degree angle and penetrating the ground 456mm directly out in front. 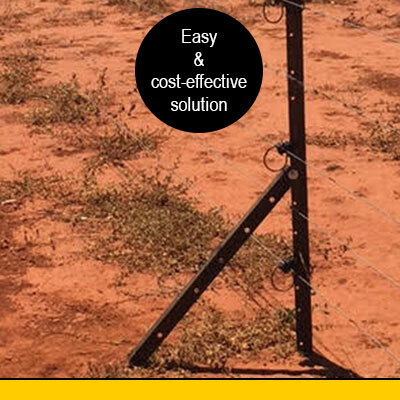 The Fence Boot® has 6 x13mm holes to accommodate the large standard barbed wire. 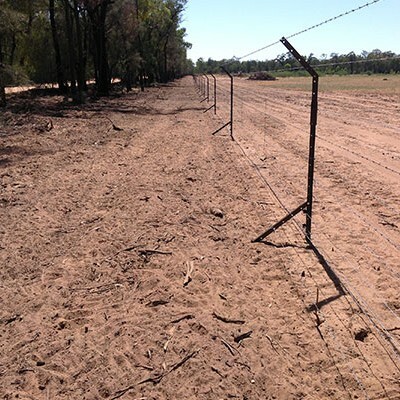 The Fence Boot® is effective in high pressure areas where kangaroos and other burrowing animals are coming underneath existing fencing. The Fence Boot® attaches to new or existing steel posts (star pickets) with an 8mm bolt. The fence boot has 6 holes for wires. If you are using electric wire you only need to use 2 electric strands: 1 at the bottom and 1 half way up the boot. How much do Fence Boots® cost ? 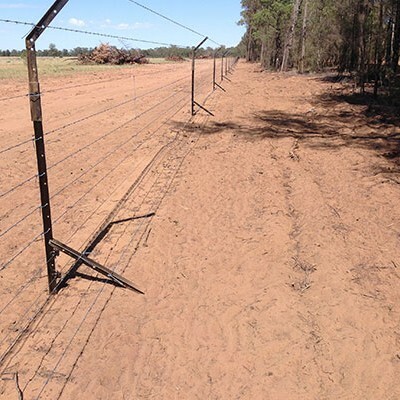 The Fence Boot® is designed to be used on long fence lines and we recommend using a Fence Boot® the same distance apart as the extender, depending on the terrain and type of country. Where can I buy High Jump Fencing products ? 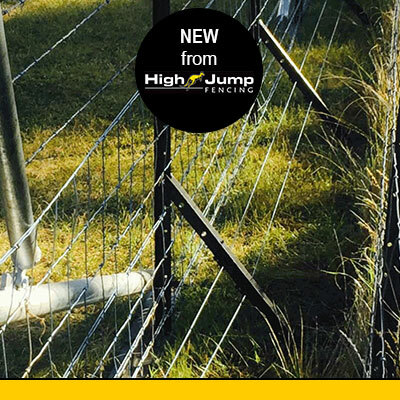 They are currently available direct from High Jump Fencing Australia. To order contact Brett Rout on 0408 571 134 or by email. 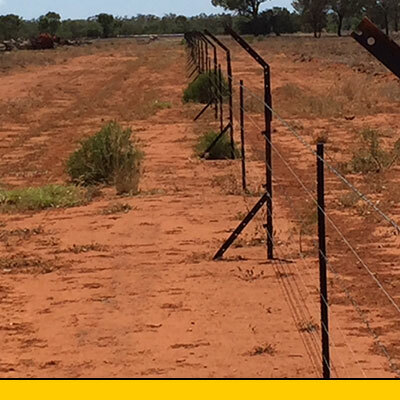 We have done a trial with High Jump fencing products on our property Cullenya in Gwabegar NSW. 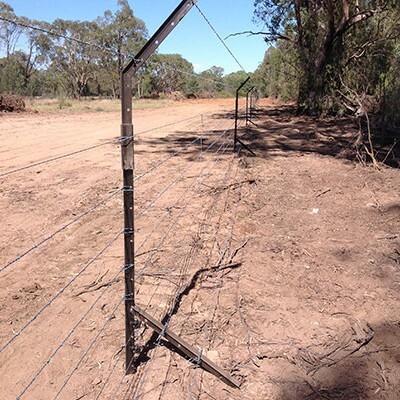 We put a plain and barb wire fence up using the boot (Fence Boot) and the crank (Fence Extender) along the northern boundary of the property, which borders the Pilliga scrub. I think the concept of the fence extender is just brilliant, but I think when you are using it you have to use the Boot as well. We haven’t electrified the wires in the extender or the boot yet, but I drove down the Fence line the day after it was finished and it looked like a mob of cattle had been driven down the outside of the fence but there were not many tracks on the inside. We will definitely be putting the crank and the boot right around our boundary to stop the ferals from coming onto our property.